Product prices and availability are accurate as of 2019-04-23 21:42:14 EDT and are subject to change. Any price and availability information displayed on http://www.amazon.com/ at the time of purchase will apply to the purchase of this product. 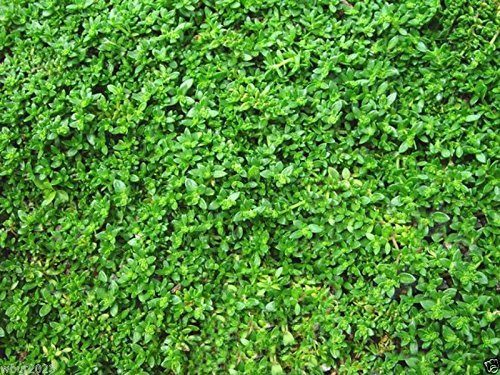 Green Carpet (Herniaria Glabra) - This lowing growing ground cover only reaches about 3 inches in height and forms a matforming green carpet for carpet-bedding, a lawn alternative, low growing container gardening, etc. Herniaria glabra, also known as Rupturewort or Green Carpet, is a soft to walk on, evergreen grass substitute for many people or the perfect ground cover. It can take quite a bit of foot traffic as it is almost as wear tolerant as grass. Its small, vibrant green glabrous foliage will get inconspicuous lime-green to white flowers on it, but they are barely visible and do not attract bees. Many people report never seeing Herniaria Glabra flower at all which makes it nice as there is no flower clean up. Herniaria Glabra is a lovely bright green creeper which spreads effortlessly in all directions filling up to two feet per plant! It is not fussy about soil and will happily grow in poor soil and gravel. 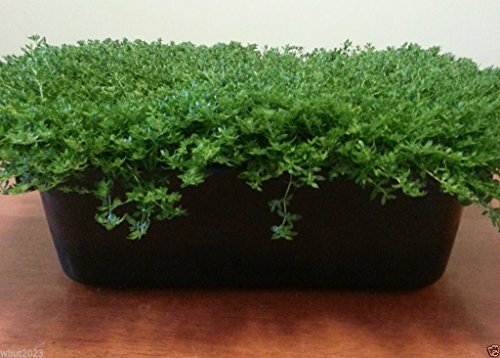 This low growing ground cover plant of about 3 inches has one long tap root (as opposed to many surface roots like a Creeping Thyme) which makes it extremely drought tolerant. Green Carpet Herniaria Glabra can grow in full sun or shady locations. 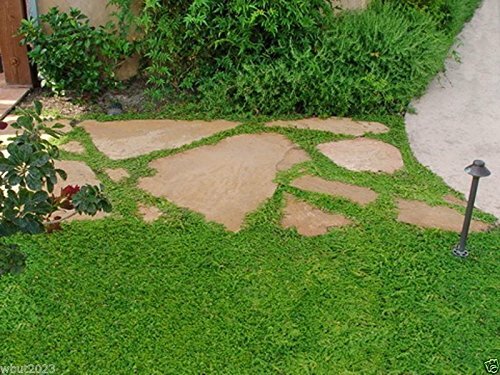 Known to be nearly indestructible, Green Carpet Herniaria is an excellent choice for growing between flagstones, growing as a lawn substitute, or a ground cover. The tiny leaves of Herniaria Glabra create a dense evergreen carpet, becoming bronze or red colored in winter adding even more interest.